The e-mark is the Danish guarantee for secure, transparent online shopping. All shops have had their terms of conditions validated by our experts and will be subject to regular checks as long as they carry the e-mark. With our buyer protection, we even put DKK 10,000 on the line to ensure your purchase. We do this because we believe in all our web shops, and we encourage you to do the same. Web shops with the e-mark don’t just stay within the boundaries of the law. We go one step further by protecting you financially and safeguarding you against surcharges and other unpleasant surprises. Should something unexpected go wrong, we are there to help you out - even when complaints boards or the law can’t do the trick. No problem is too great and no amount too small. Our experts are always ready to help find the best possible solution. On web shops with the e-mark you get more of what really matters to you, when you shop online. Our customer score and shipping score show what other customers think of the shop, and how quickly they are able to dispatch orders. That is how the e-mark differs from the competition that is based on reviews, bickering and personal opinion. Instead, we present you with data you can trust. 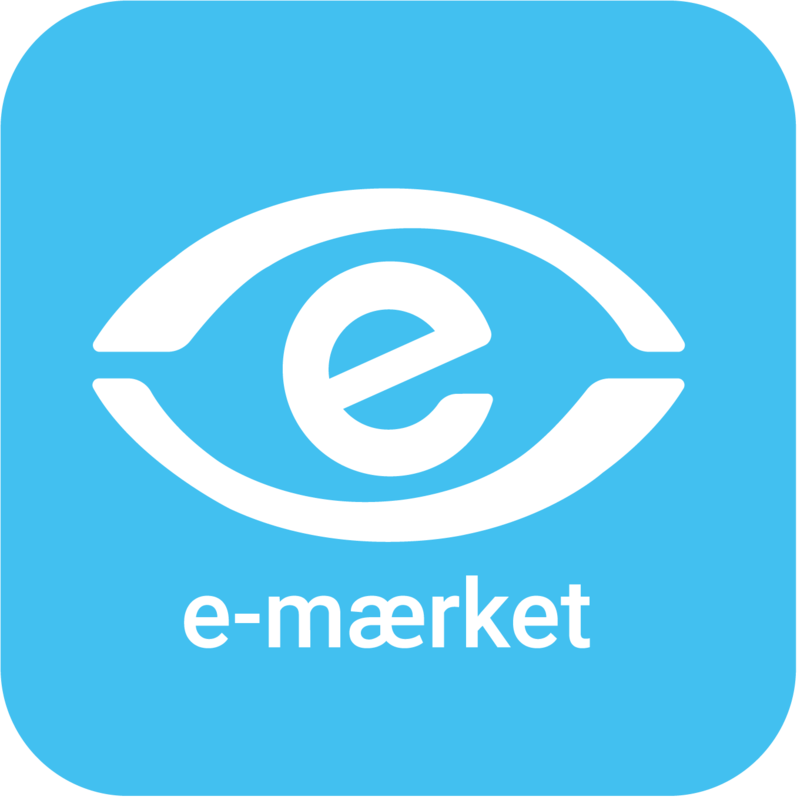 The e-mark is a non-profit organisation founded in 2000 by a broad variety of organisations, ranging from the Danish Consumer Council to the Confederation of Danish Enterprise. Our 2,200+ Danish members sell everything from computer games and clothing to baby gear and basketballs. We unite web shops and consumers in an effort to strengthen Danish e-commerce for the greater good of us all.